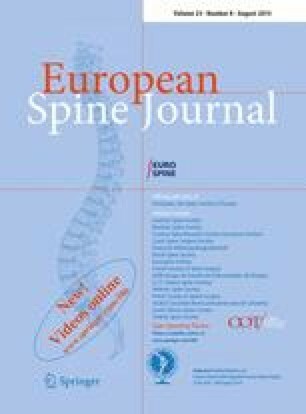 This single-blind randomised clinical trial compared osteopathic manipulative treatment with chemonucleolysis (used as a control of known efficacy) for symptomatic lumbar disc herniation. Forty patients with sciatica due to this diagnosis (confirmed by imaging) were treated either by chemonucleolysis or manipulation. Outcomes (leg pain, back pain and self-reported disability) were measured at 2 weeks, 6 weeks and 12 months. The mean values for all outcomes improved in both groups. By 12 months, there was no statistically significant difference in outcome between the treatments, but manipulation produced a statistically significant greater improvement for back pain and disability in the first few weeks. A similar number from both groups required additional orthopaedic intervention; there were no serious complications. Crude cost analysis suggested an overall financial advantage from manipulation. Because osteopathic manipulation produced a 12-month outcome that was equivalent to chemonucleolysis, it can be considered as an option for the treatment of symptomatic lumbar disc herniation, at least in the absence of clear indications for surgery. Further study into the value of manipulation at a more acute stage is warranted.